Bridget D Sheehan - my spot. Our environment has an influence on the way we work. 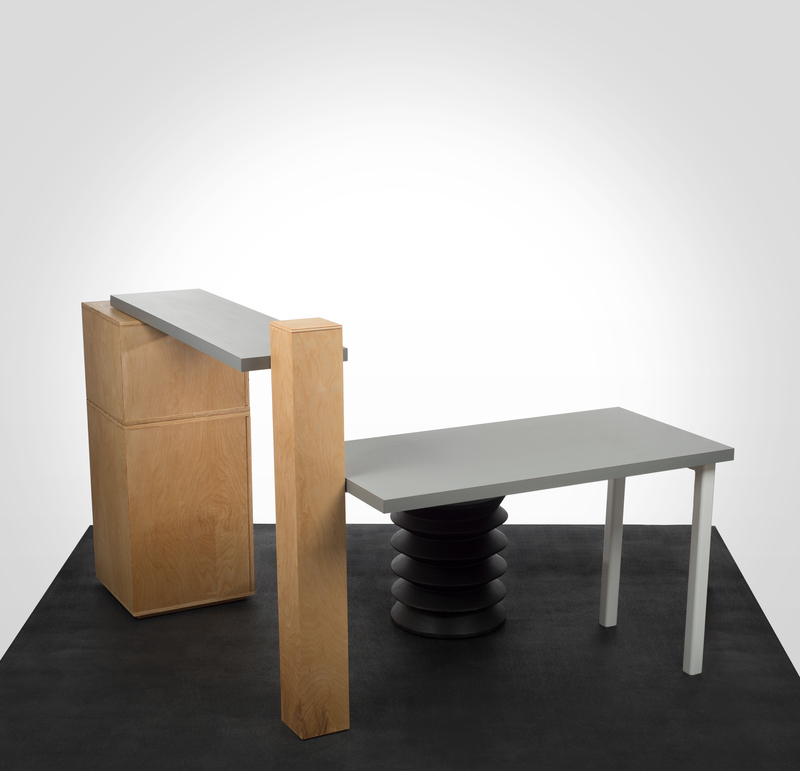 I believe that through simple, modular furniture, a worker has the opportunity and ability to create an environment that suits the way that they work on a day-to-day basis. 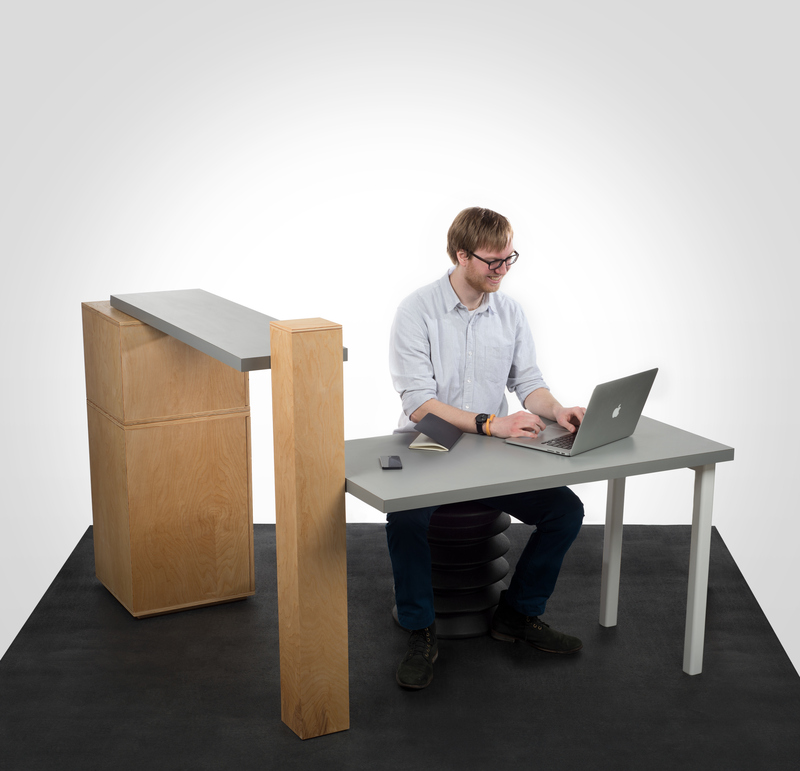 My thesis will address the mental and physical way workers approach their workstations. In my design, an individual worker is given an eight-foot square space, which is given distinction through a change in floor material/texture/surface, and a modular workstation which has a footprint of roughly six square feet. 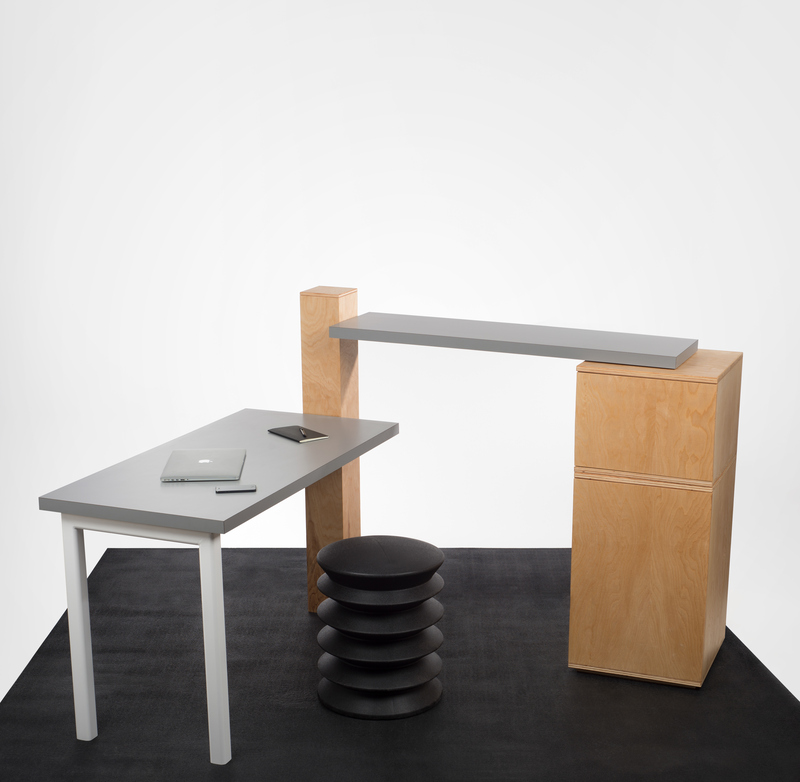 By giving the worker more space than their workstation’s footprint, I allow them to arrange their workstation within their distinct work area, giving them the opportunity to design their workspace to suit their needs. 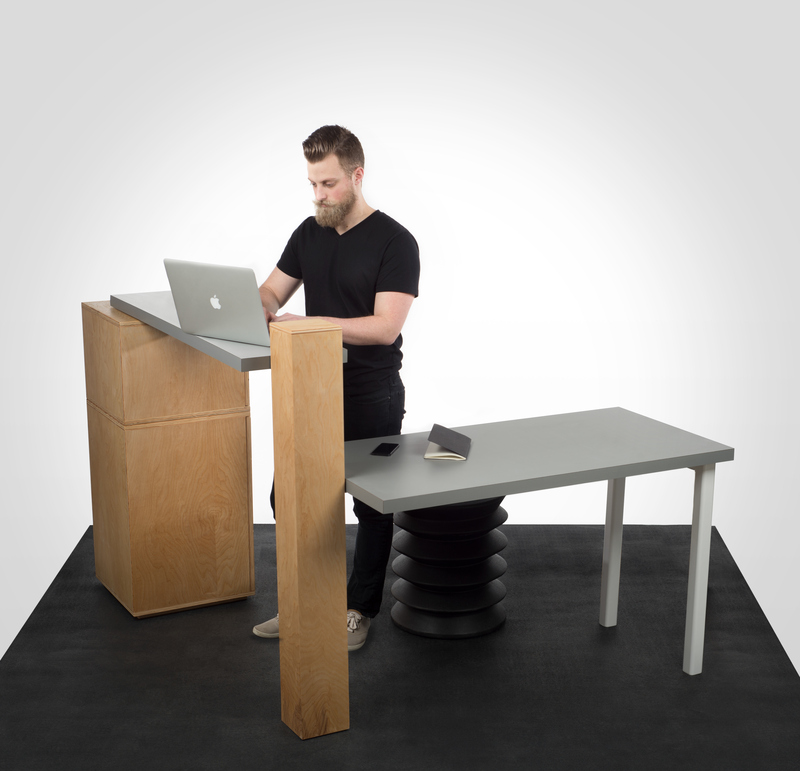 By using a modular system, I allow the worker to activate their space with greater ease. Though still a work in progress, below are images from a recent photoshoot of my working prototype. I believe it is important for workers to maintain their identity and individuality while at work. To allow workers to maintain their identity in the work environment, I will develop a modular system that addresses not only their current office needs, but also addresses the future of work. Having a spot that is uniquely theirs is critical to a worker’s productivity, health, and overall happiness. By creating a modular system I will give workers the opportunity to continuously change their environment; this system will allow a worker to create and easily modify a space to meet their needs and wants in their office. In 1968, Robert Propst, then President of Herman Miller Research Corporation, developed the Action Office II, an open-plan office system consisting of click-together desks and pop-up walls, marking the beginning of the cubicles. With the Action Office II, workers had an opportunity to create an environment that suited the way they worked. This opportunity would slowly fade as the office cubicle would come to reign as the standard for office furniture from the 1970s to today; Steelcase, Knoll, and Herman Miller produced multiple variations, many of which are still in use. Cubicles offer privacy and basic power supply, but tend to limit a worker’s opportunity to easily modify their space to meet their current, or future, needs. Today’s office is constantly evolving. Technology is rapidly changing, and the workforce is shifting from baby boomers to millennials. Because of this, each worker approaches their work with a different set of tools and work styles. I believe that a workstation needs to be able to adapt with the changing tools and technology, and should work for a wide variety of digital and analog tools. This workspace should also offer work surfaces that allow the worker to utilize their space in different ways throughout the day. A modular system will easily adapt to an individual’s needs by offering multiple work surfaces for both long and short term interactions with people and projects.